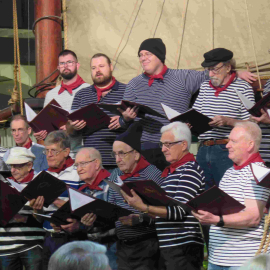 The Adelaide Male Voice Choir was founded in 1884 after several letters had been written to the papers deploring the fact that the only male choir music performed in Adelaide at that time was sung in the German language. A meeting of interested men was held at premises in Rundle Street, near where the Regent Arcade now stands, and it was decided to form a male voice choir to be known as the Adelaide English Glee Society. The first conductor was Mr H Evans, a master at Prince Alfred College. After some months of rehearsal, the first concert took place in the Norwood Town Hall on 24 March 1885, in aid of the Library for the Norwood Young Men’s Club. The concert was under the patronage of the Premier, the Hon T Playford, and the Choir sang Excelsior by W H Birch, and Serenade by J Hatton, with words by Henry Longfellow. In February 1886 members travelled by bullock dray to the Coromandel Valley Institute to present a concert, and in September of the same year they sang at the Noarlunga District Hall. By 1889 the Choir had changed its name to the Adelaide Glee Club and Mr A Walmsley took over as conductor, a post he held for the next 22 years. 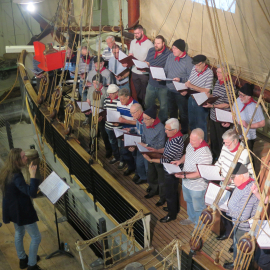 The Choir sang at increasing numbers of venues, including trips to Hills towns and outlying suburbs such as Salisbury. In the difficult financial times of the 1930s the Choir abandoned the Subscription Concerts which it had undertaken for a number of years and began broadcasting for the ABC through radio station 5CL. Members wore full concert dress to perform these concerts in the studio. 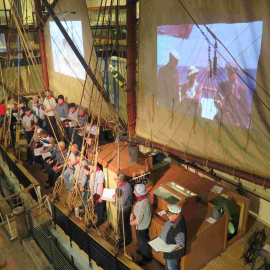 The Choir has long maintained a tradition of supporting charities in the local community and further afield. In the early years the Choir raised money for groups such as the widows and orphans from the Broken Hill mine disaster (1895), the St John Ambulance Association, the Fire Brigade and the Red Cross. Later charities included the Minda Homes, the Lord Mayor’s “Food for Britain” Appeal, the YMCA, the Tubercular Soldiers’Aid Society, and the Royal Institute for the Blind. The proceeds of the Choir’s 125th Anniversary Celebration Concert in 2009 were donated to The Freemasons Foundation Centre for Men’s Health, which is an innovative partnership between The University of Adelaide and the Freemasons Foundation, promoting life-changing research into ways of improving men’s health. For many years the Choir has sung at the Cross of Sacrifice on Anzac Day, accompanied by the Salvation Army’s Adelaide Citadel Band. 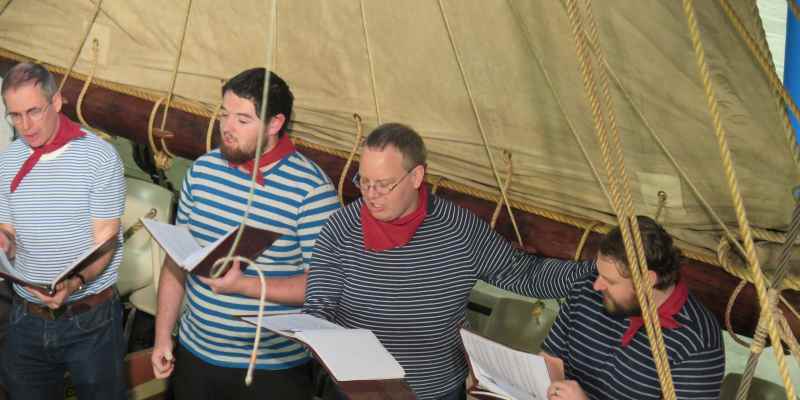 The Choir has maintained a fine tradition of fellowship and good singing throughout its history and has always sought to provide musical delight to its audiences. It has performed in various venues in Adelaide and the metropolitan area and has undertaken several trips to country SA and interstate. In 2008 the Choir was an honoured guest at the inaugural Pemulwuy Festival of Male Choirs in Brisbane. Several challenging pieces of music were specially commissioned for the Festival and were performed by the assembled choirs with spectacular success. 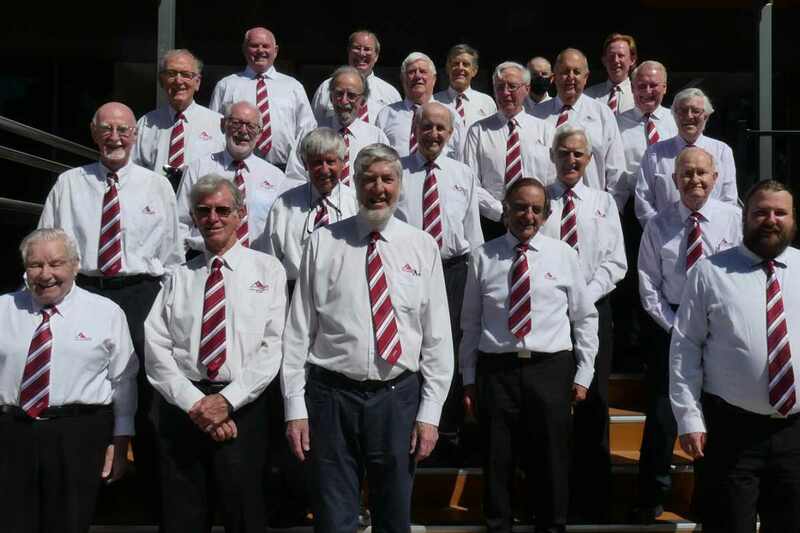 While in Queensland, the Choir extended its tour to perform with the Buderim Male Choir on the Sunshine Coast. The friendly links formed on that occasion resulted in a reciprocal visit from the Buderim Male Choir to Adelaide in 2009, with the two Choirs presenting joint concerts in Adelaide and Tanunda. The Choir members come from several countries and many different professions. A love of music is the strong bond between them, and they unite with great enthusiasm in ling up to the Choir's motto: Achieving Choral Excellence.